We talk about protein all the time, but we don’t think about what it means enough. Let’s talk about why it’s a good thing. It repairs and re-builds muscles, it makes enzymes and hormones, and it contributes to the health of your bones. You know, the things that make up your body. Our protein balls are all about versatility. Pop one in your mouth after you hit the gym to stave off that hunger. Go for one in the afternoon to satisfy your sweet tooth in a healthy way. Simply put, they’re functional and made with ingredients we’re extremely proud of—delicious nuts, organic cacao and coconut, you get the idea. So, whether you’re in need of some post-gym sustenance or you just want to treat yourself like you know you deserve, try one of these. You’ll be happy you did. And hey, so will we. Probiotics. More than a gut-full. We make probiotic balls because we care about your gut, and you should too. That sounded weird—we’ll explain. A probiotic is essentially just good bacteria. And we want to replenish and restore the same good bacteria that’s already in your body. Consuming probiotics may improve your general health—everything from your skin to your digestive and immune systems and your gut (see why we care?). The probiotic we use, Bacillus coagulans, delivers 1 billion good bacteria per serve; it’s vegan, GMO-free, and really good at mixing in with the amazing ingredients we choose, like Japanese-sourced matcha and juicy apricots. So, when do you eat probiotic balls? We love that question. Have them every day—between meals to keep you happy and full, after your workout or that run you’ve been meaning to go on, or simply as a snack. So, go forth. Bring more nutrients to your life. We’ve got the perfect delivery method. Right to your mouth. Laying it all out on the table. Our good ingredients – justified. 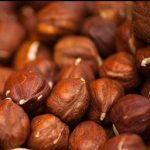 Full of nutrients and healthy fats – think omega-6 and omega-9 fatty acids – hazelnuts are loaded with antioxidants, mainly phenolic compounds, which are proven to help decrease blood cholesterol and inflammation. 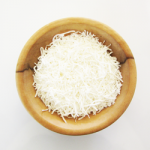 Coconut is an excellent source of good saturated fat. It’s famous for a complete range of vitamins and minerals, including copper, calcium, iron, manganese and zinc. And it’s loaded with natural antioxidants, as well as nutrients that support your #mood – need we say more. 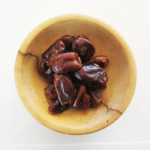 Since ancient times, delicious dates have been conquering sweet cravings the healthy way. Nutrient, vitamin and mineral rich, dates play a big role in our growth and development. And they’re an excellent source of iron and fibre. So basically – all of the yum, and none of the guilt. The King of Peanuts. Kingaroy that is. And they’re right from our own backyard … Australia. A rich plant-based source of protein, peanuts are low in carbs and high in the good things like, Vitamin E, folate and magnesium. We use ‘Hi Oleic’ peanuts that have a different oil chemistry to regular peanuts. 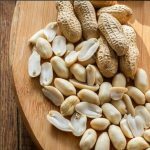 They taste just like the peanuts you know and love – but the acid ratios resemble that of olive oil, making them a healthier option. 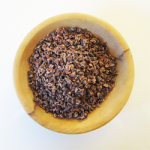 Cacao has been consumed for its invigorating and healthy properties … for centuries. Or close to it. A really long time okay. It’s one of nature’s richest sources of antioxidants – with loads of magnesium and iron. And when used as powder it’s a concentrated form of healthy dietary fibre. It just keeps getting better right? 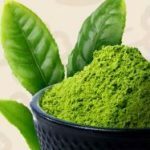 Sourced from the home of matcha – Japan – this green tea concentrate is a healthier alternative to traditional caffeine. 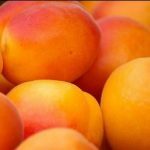 It’s high in antioxidants, mainly polyphenols, which are associated with protection against heart disease and cancer. And wait for it … matcha also has anti-aging properties. 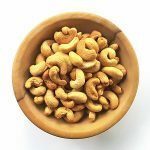 Cashews have a lower fat content than most other nuts, and just so you know, approximately 82% of their fat is unsaturated fatty acids, plus about 66% of this unsaturated fatty acid content are heart-healthy monounsaturated fats. Now that’s a bit of a mouthful – but the good kind.